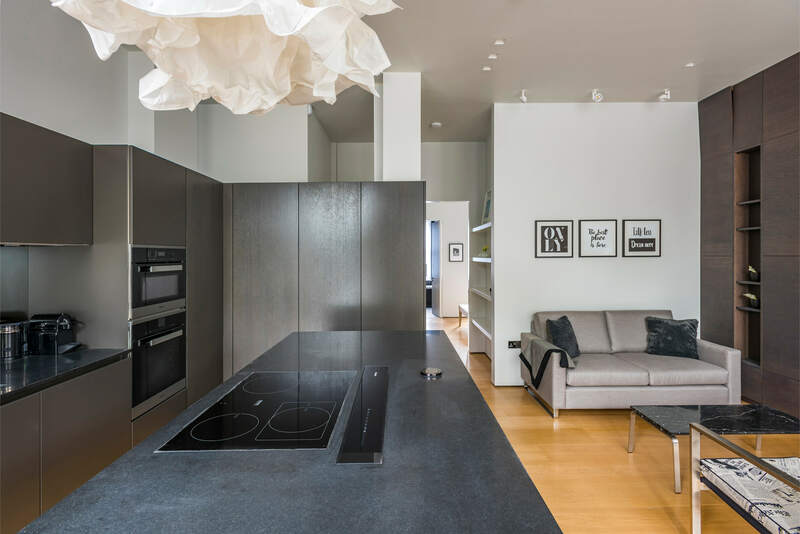 The design for this speculative development for the rental market has transformed the 500 sq.m. 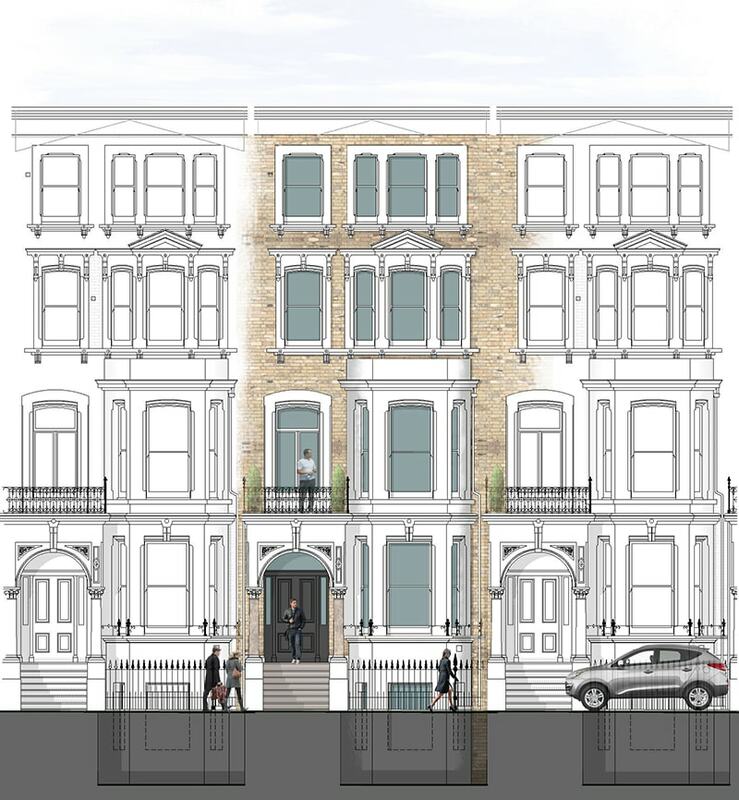 derelict shell of the five-storey Victorian terrace, set within a beautiful Chelsea square, into three high-end apartments. 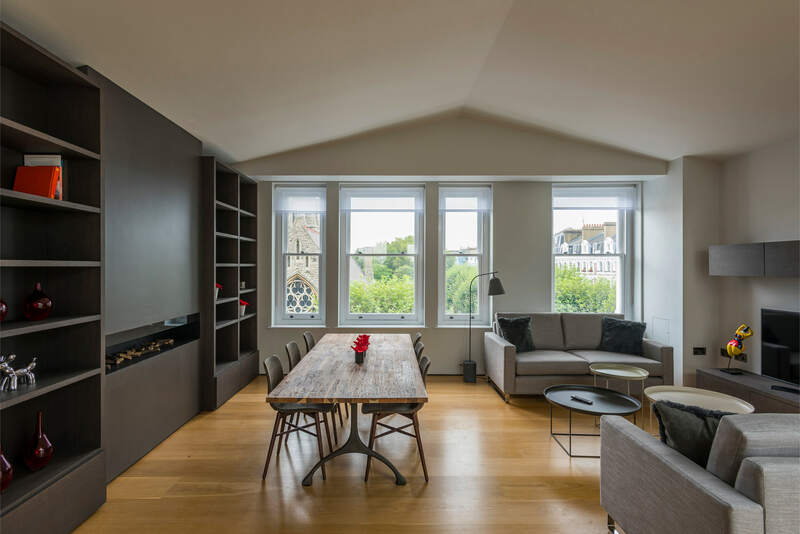 This includes two duplex apartments with a single level flat between on the first floor. 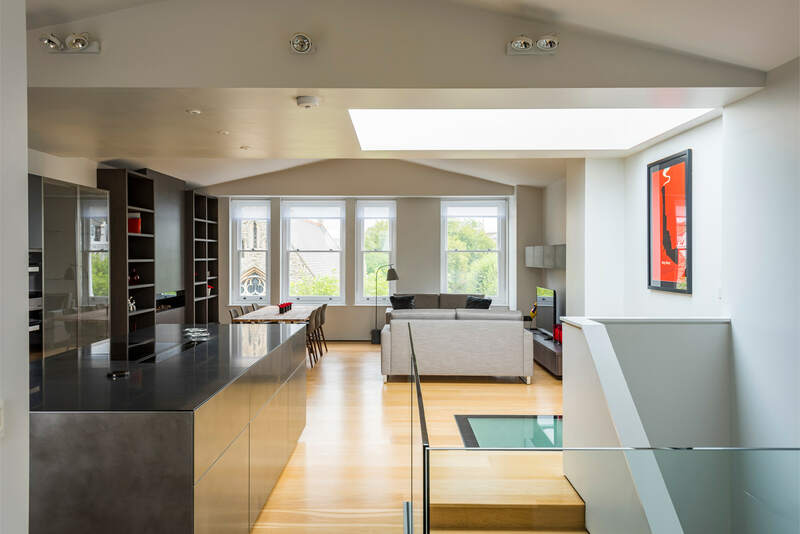 Originally a single house, it was converted in the 1960s into six poorly-configured flats. 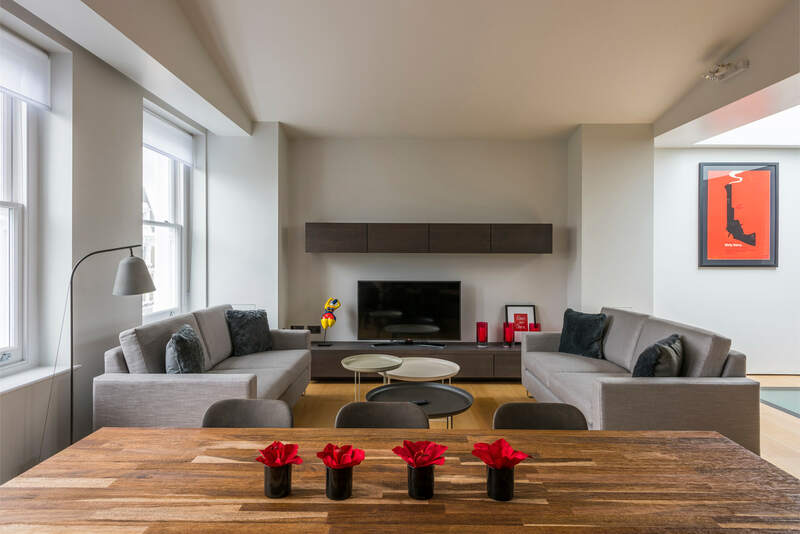 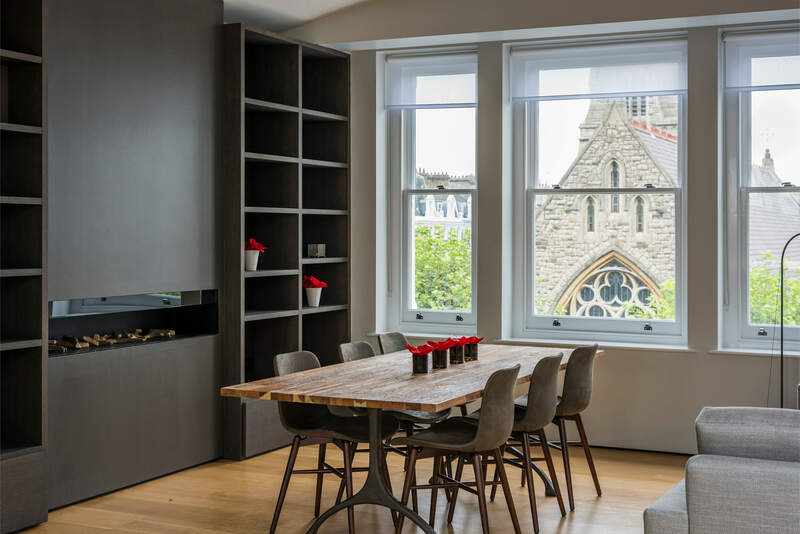 Within the re-configurated volume of the building, the new flats all benefit from open-plan, bright and spacious living, kitchen and dining areas, to replace the previously fragmented spaces. 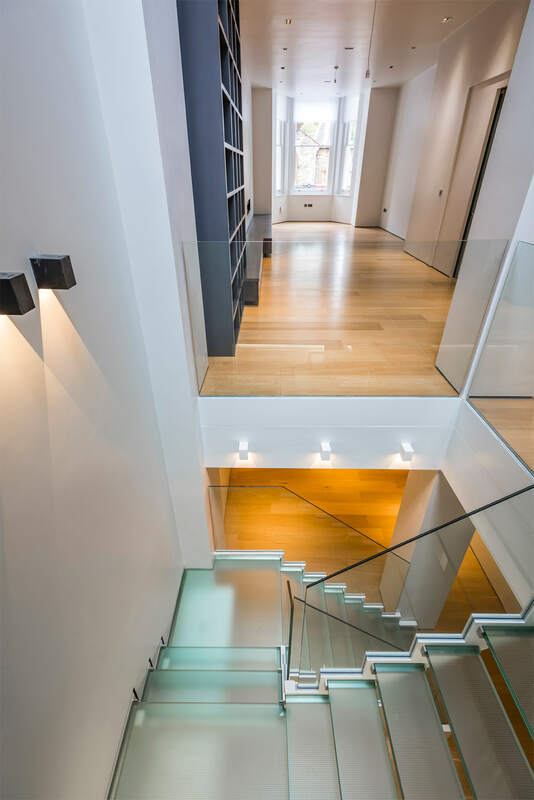 To achieve this the internal structure was largely rebuilt with a new steel frame and concrete floor structure introduced, with the historic facade being retained to preserve the original architecture of the square. 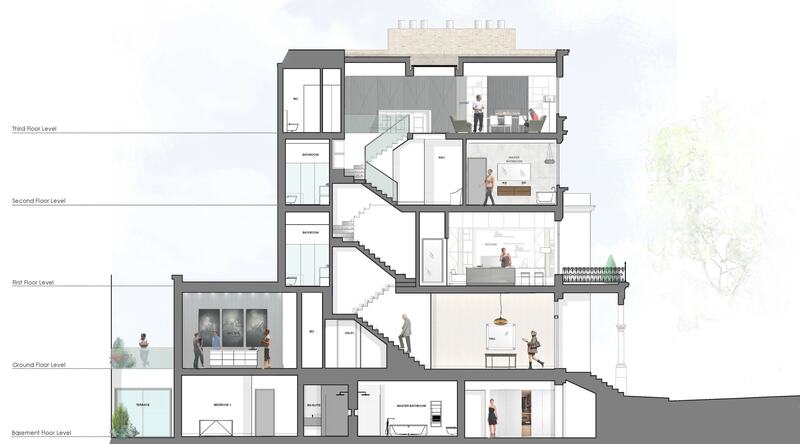 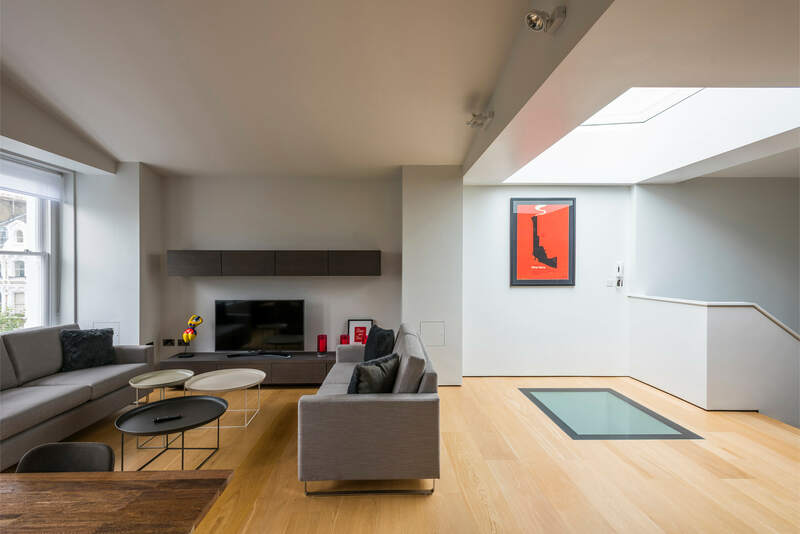 The reconfigured top floor, which forms the living area of the upper duplex, benefits from additional height following the exposure of a previously-hidden volume of space within the pitch. 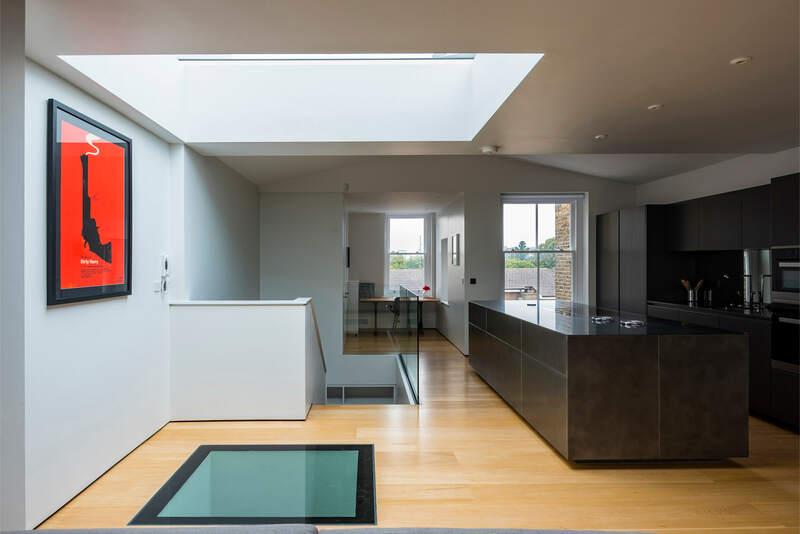 This introduces a greater feeling of space, volume and light, further enhancing the space with glass floor panels to maximise the light below. 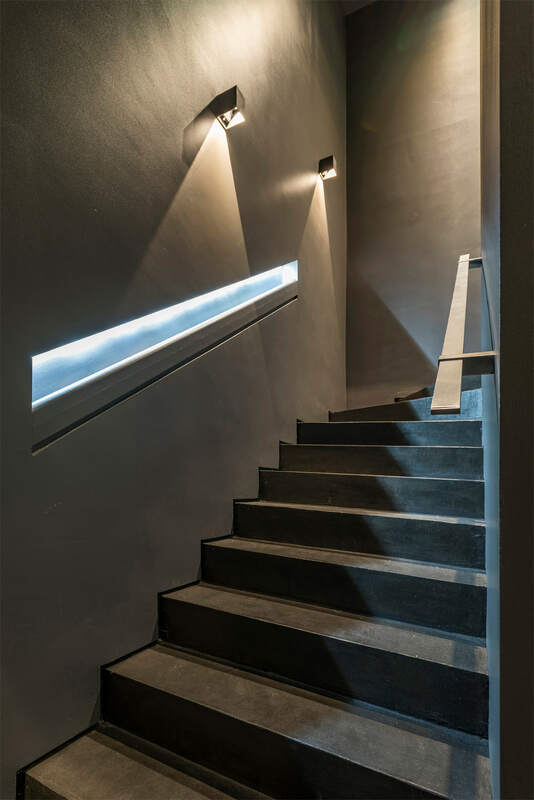 The interior design incorporates a simple palette of interior finishes to provide a neutral backdrop to the drama of the newly created internal volumes, with the aim to recreate the ambience of an art gallery. 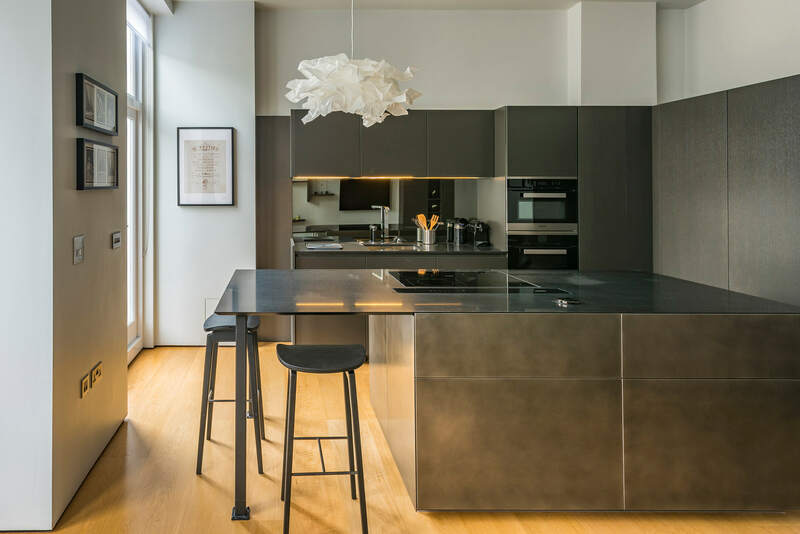 The Italian designer kitchens have a minimalist monolithic look with island units appearing as solid blocks of metal or stone. 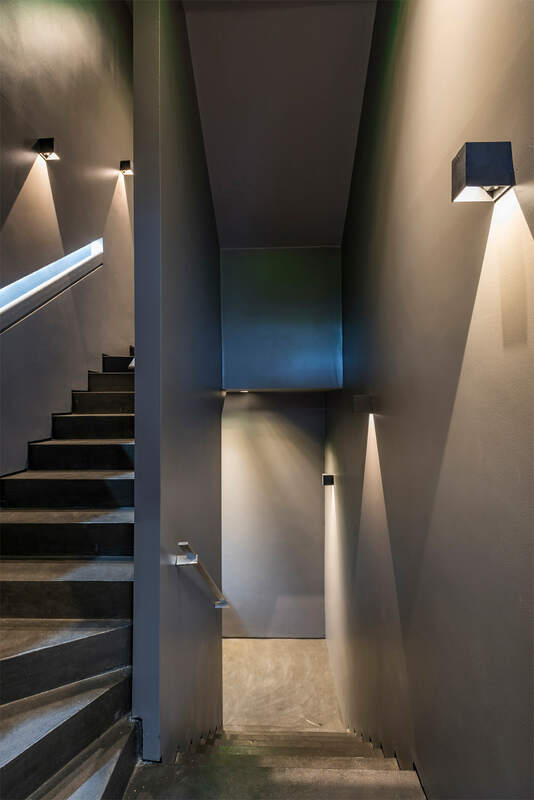 Interior lighting further evokes a gallery feel with a combination of wall mounted adjustable spotlights and recessed plastered in downlights that disappear into the expanse of high ceilings. 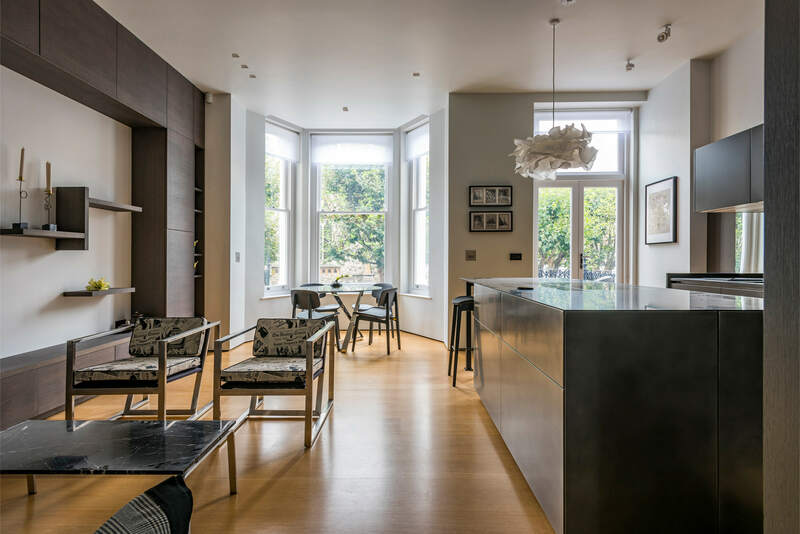 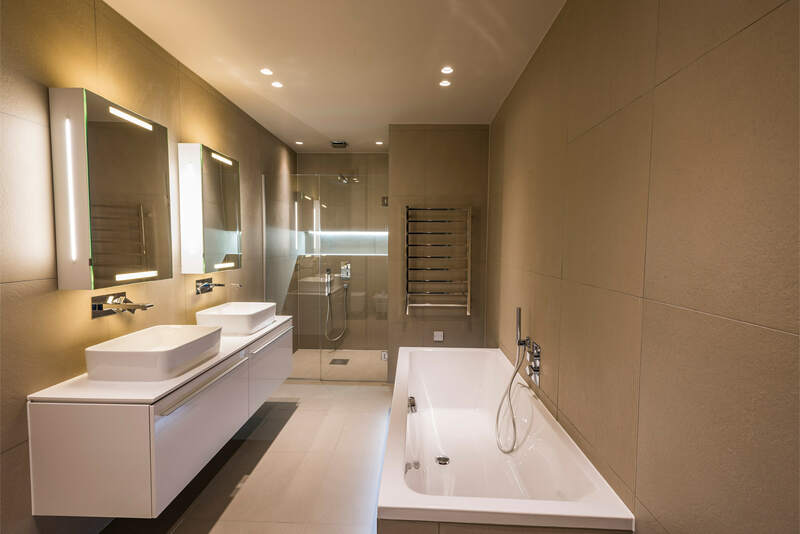 Alongside the cosmetic improvements, internal alterations have been made to suit contemporary standards with improved environmental efficiency and the modernisation of all original services along with acoustic and fire protection, all of which was to be part of renovation works. 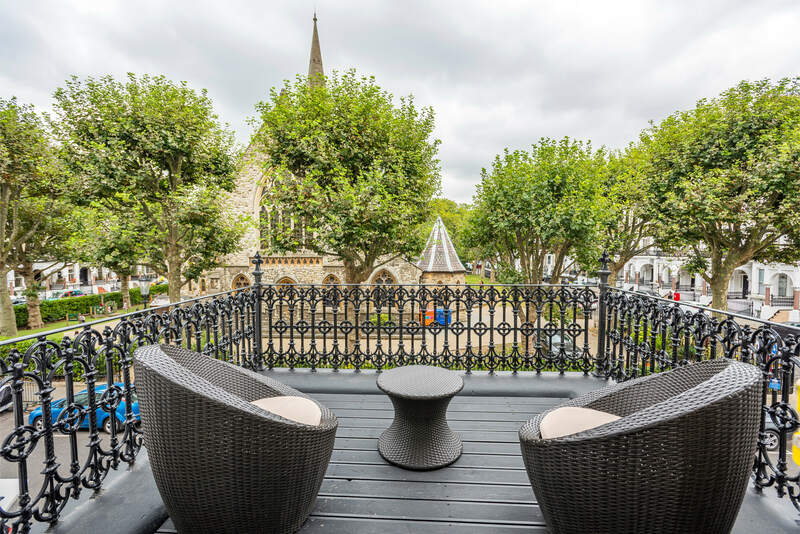 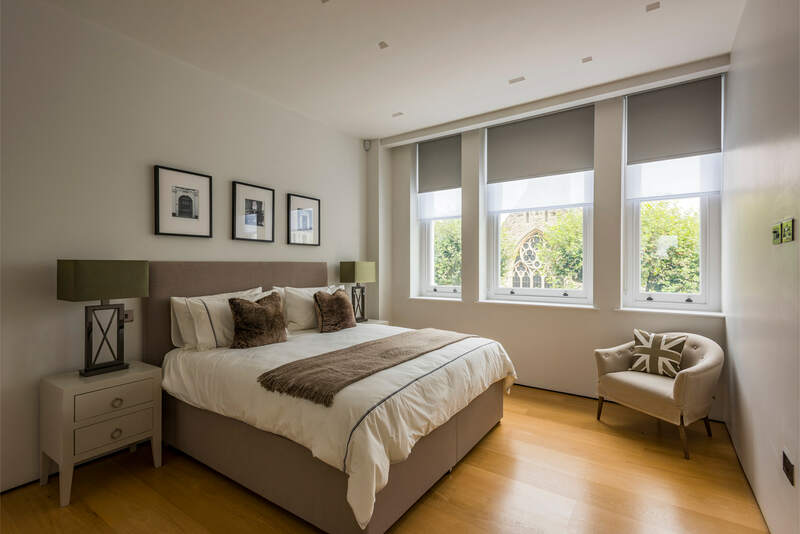 Each of the flats have commanding views across the square to the front onto the Church of St Luke, the focal landmark of the square. 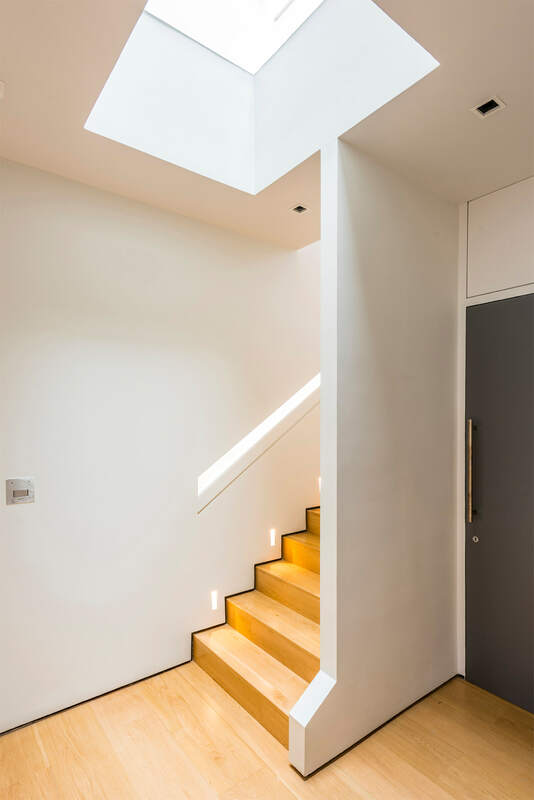 To deal with the number of apartments and different levels, there is a communal staircase which accesses all the flats, with the duplexes both having unique staircases within, creating three 'feature' designs within the building. 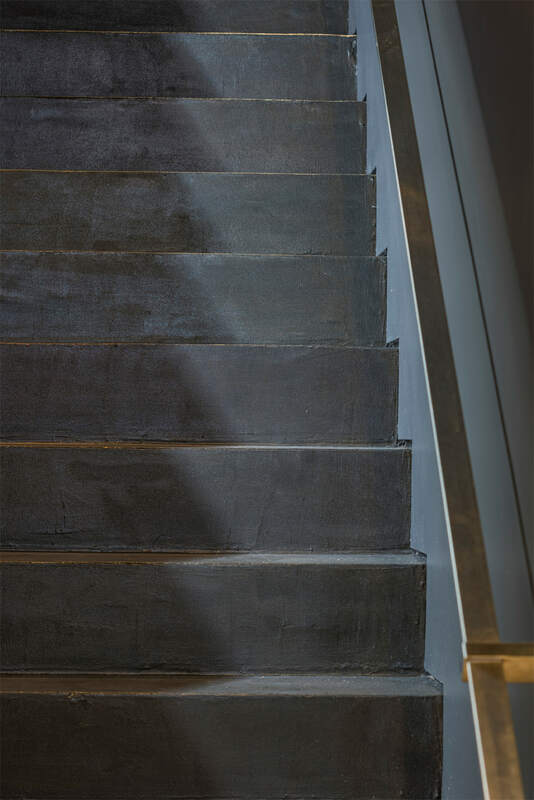 The communal staircase is an anthracite coloured polished cement floor finish and anthracite painted walls, with hidden ambient LED lighting recessed into the stair walls as part of a concealed handrail detail, setting the scene for the apartments themselves. 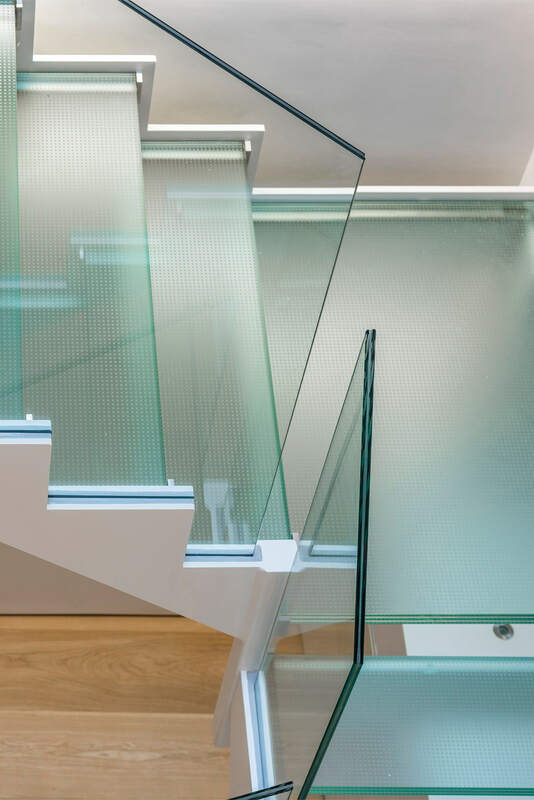 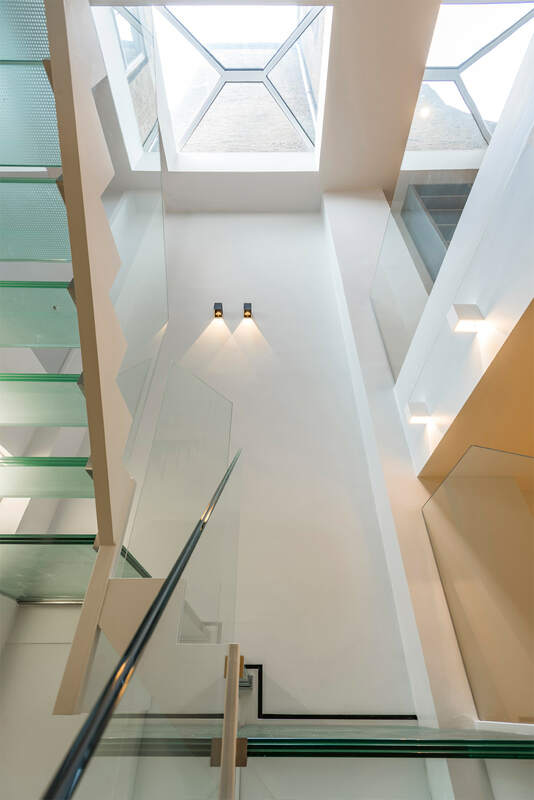 In the basement and ground duplex, a toughened glass staircase sits within the space previously occupied by the former lightwell and is capped by a fully glazed lantern light that spills ever changing patterns of daylight and sunlight down the glass staircase throughout the day. 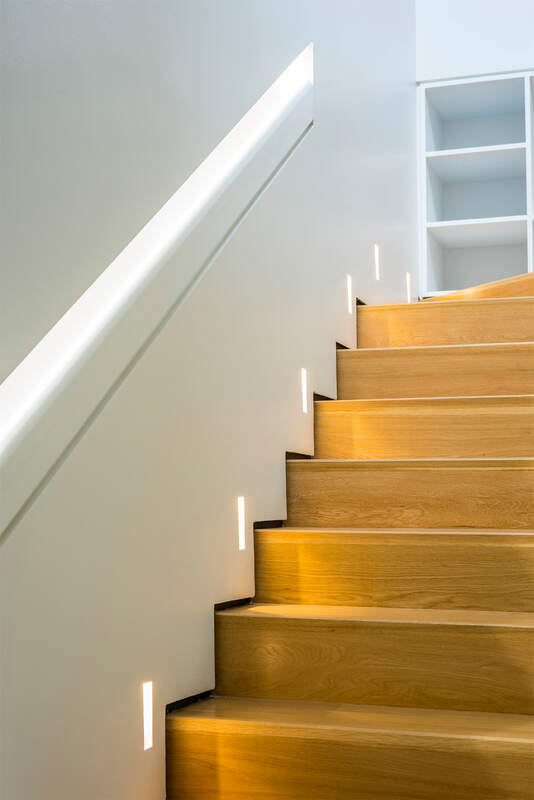 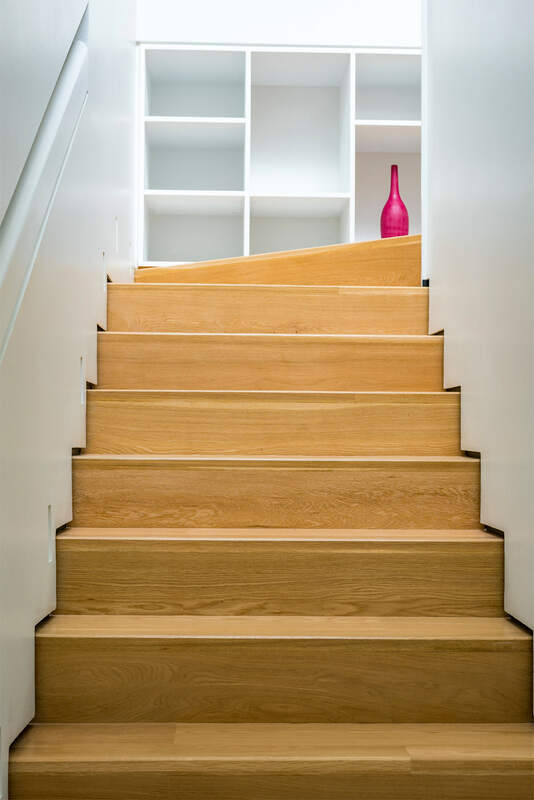 The final staircase for the top duplex utilises a monolithic and bright timber staircase to bring light into each room of the apartment.